As far as I’m concerned, Night Ranger is the most underrated classic rock band on the planet. Not only do they have a rich history comprised of countless classic hits and terrific albums, but they also continue to record and release stellar new music and play live for thousands of adoring fans. The band’s keyboardist, Eric Levy, was kind enough to speak with me about what it’s like being in Night Ranger. I hope you enjoy our discussion. Composer, producer, and sound designer Christian Matthew Cullen has had an interesting and prolific career. He’s created audio for TV, radio, advertising, video games, and more. 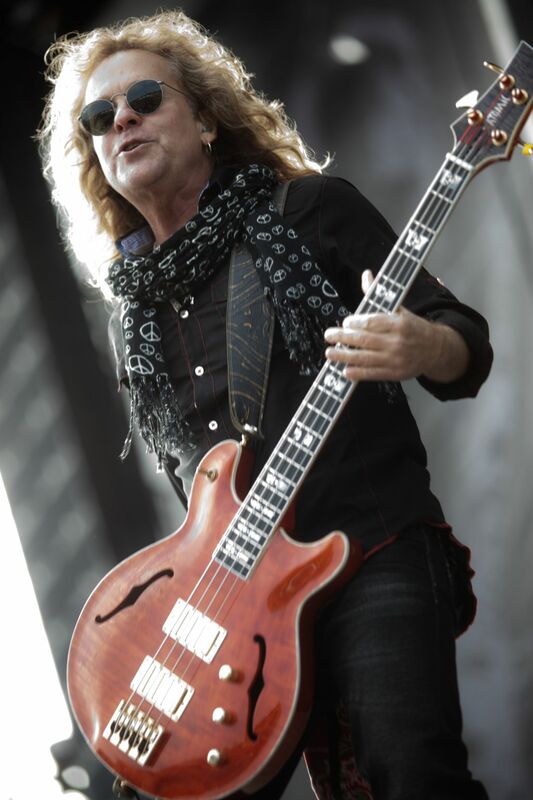 Along the way, he was chosen to be Night Ranger’s keyboard player, a position he held from 2007 to 2011. Christian was kind enough to speak with me about his time in the band. As you’ll see in the interview below, it was a remarkable time in his life and career. On Wednesday night I went up to New York City to catch Night Ranger’s concert at B.B. King’s. 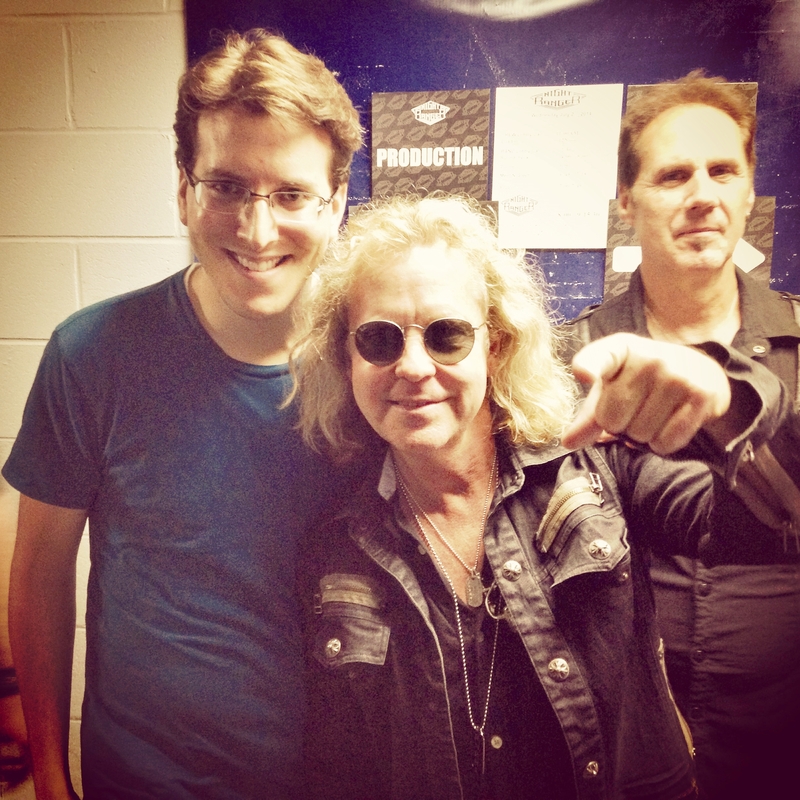 I was fortunate enough to meet the band backstage, as you can see from the photo above with me and Jack Blades…and Kelly Keagy peering over our shoulders. 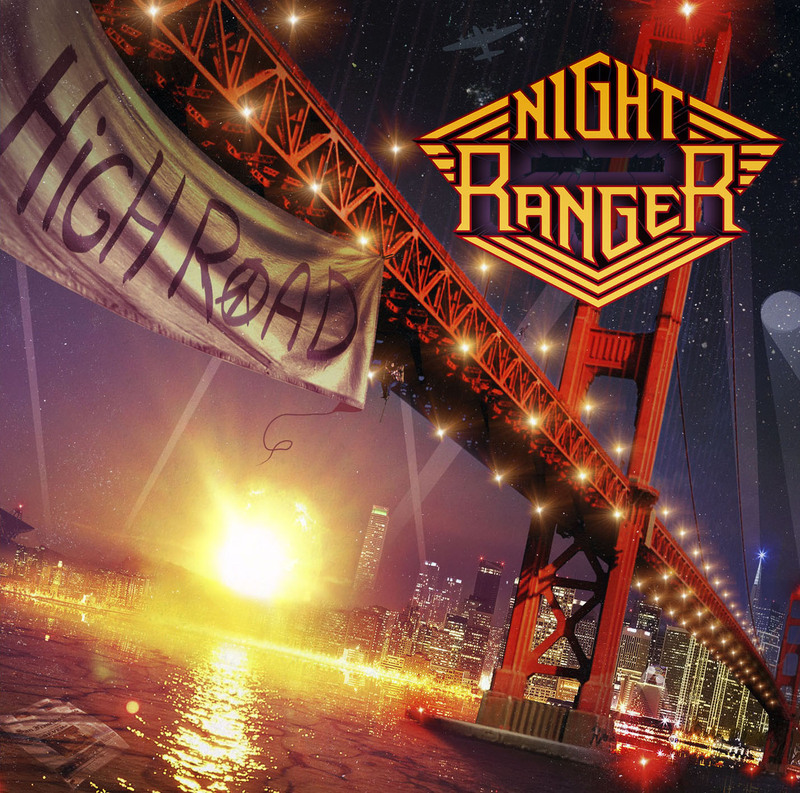 Night Ranger’s 11th studio album, High Road, comes out June 10 and I’ve been listening to an advance copy for the past couple days. I’m happy to report that Night Ranger fans, and those who enjoy great rock music, will love this album. In addition to having a gorgeous album cover, High Road is full of upbeat, guitar-driven rock songs, along with a few ballads and an instrumental track for good measure.